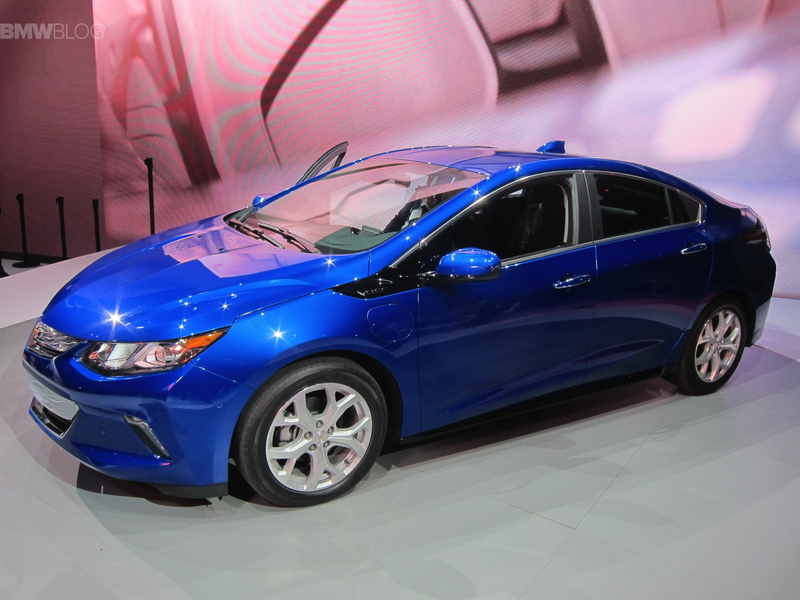 The new Chevrolet Volt makes its world debut at the 2015 Detroit Auto Show. The second-generation Volt improves on its predecessor and delivers impressive driving range. The battery in the new Volt is now both lighter and larger than the last model, 18.4 kWh capacity versus 17.1 kWh before. The battery is liquid-cooled. Chevrolet says the new Volt can travel 50 miles on electric power, 12 miles more than the previous model. 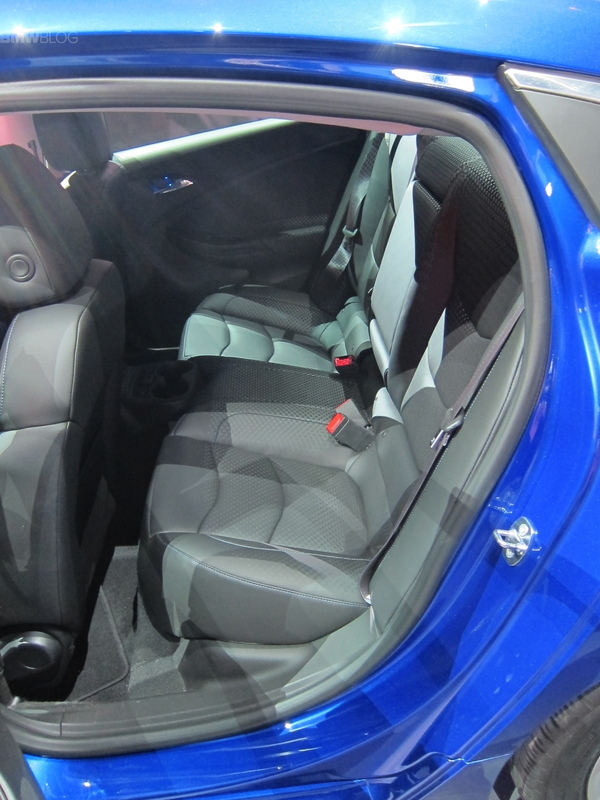 The projected gas mileage in range-extended mode is 41 mpg higher than than the current Volt’s 37 mpg. 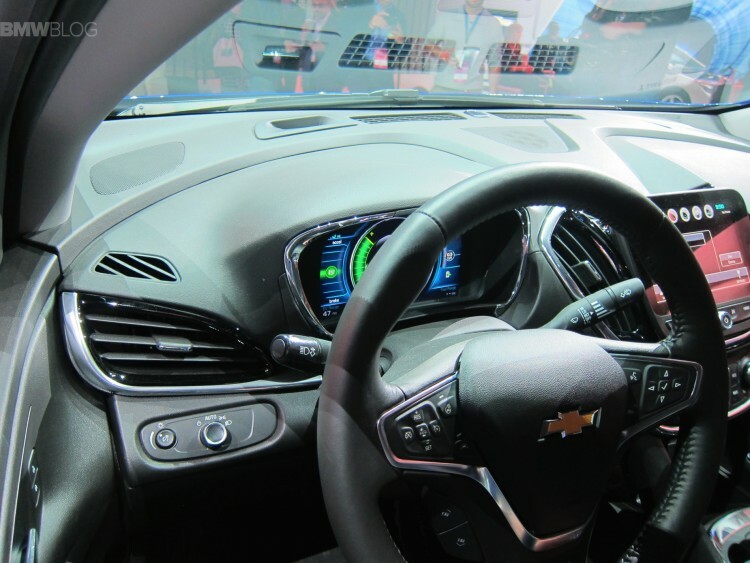 The new Volt uses a 1.5-liter four-cylinder range-extender engine and a revised Voltec drive system. The two eletric motors can power the vehicle and also act as a generator. The company says the Volt’s shape is inspired by “the toned physiques of athletes.” The new model has some nice aesthetic touches, including a battery charge indicator projected onto the windscreen, and an illuminated charging socket so drivers will be able to plug in their cars in the dark. Behind the flashy grille are active shutters to improve aerodynamics. The big news on the inside is a middle seat. The T-shaped made the outgoing model a four-seater, the 2016 Volt can seat five. Volt also offers Siri Eyes Free voice control for iPhones, a built-in Wi-Fi hotspot, and location-based charging. 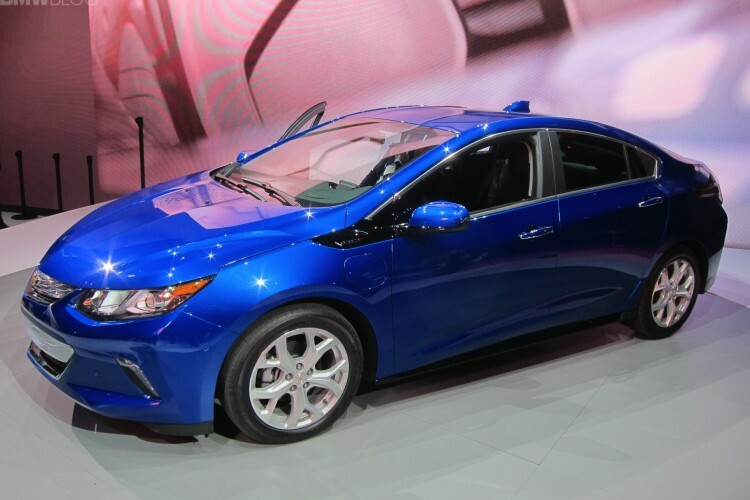 The 2016 Chevrolet Volt will go on sale in the second half of 2015.